I am sure most of us have not come across the word “zoonosis”. Speak about AIDS, SARS, bubonic plague and swine flu, the word acquires affinity. And then talk of dengue and malaria, it acquires an ominous urgency. Zoonosis is a collective noun for such—and some lesser known—infections that have jumped over from animals to humans. 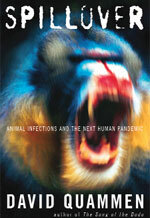 These infections are the subject of David Quammen’s book Spillover. For the uninitiated, Quammen has an iconic status in natural history writing. His latest book is science reporting at its best. We follow Quammen as he trails scientists on a rooftop in Bangladesh, in a forest in the Congo, a Chinese rat farm, a suburban woodland in New York as well as in high-biosecurity laboratories. Spillover tackles a number of infectious agents, including viruses like Nipah and Ebola; bacteria including Coxiella burnetii and Chlamydia psittaci; and parasites such as Plasmodium knowlesi. HIV is a big part of the story; Quammen devotes the last section of the book to tracing its discovery and transmission from primates to humans. Bats are at the centre of many of his stories. They are hosts to some of the nastiest bugs: Marburg and Hendra viruses. 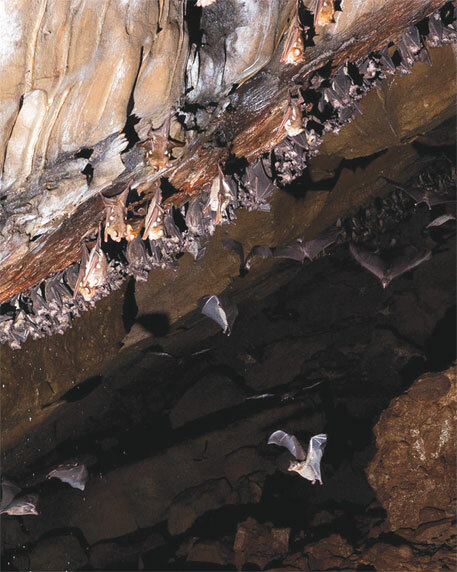 Bats are excellent crucibles for pathogens because they often live in huge numbers at high densities, roost in tight proximity and, in part because of habitat loss, congregate around human settlements. Quammen believes bats could have been the source for the earliest zoonoses; they could have provided cavemen and women with measles and mumps too. Another period rife with spillover infections was 10,000 years ago when livestock were domesticated for the first time. The history sets the stage for Quammen’s central thesis: human vulnerability to infections increased with their proximity to animals. And at times human beings carry diseases when they move to other land. Quammen prods us to keep in mind what we tend to forget: “Humanity is a kind of animal, inextricably connected with other animals: in origin and in descent, in sickness and in health.” Not surprisingly, about 60 per cent of the more than 1,400 human pathogens catalogued have crossed over from non-human species to humans. Spillover teams with vectors of such diseases. Besides bats, there are rodents, pigs, primates, bovines and mosquitoes. Malaria’s association with colonialism is well known. Mosquitoes are also known to move from forest to urban areas easily. They breed fast, are genetically flexible, tolerate climate shifts, develop resistance to insecticides and also have a propensity to travel. What else can explain the spread of the West Nile virus to the US and dengue to Asia and South America. Zoonotic diseases are hard to beat. Over the generations, mankind has notched only a few victories over microbes. The elimination of smallpox is one. Many countries have gotten rid of polio. But neither virus infects animals. Diseases such as influenza and HIV, in contrast, live on in animals—in water birds in the former case, chimpanzees in the latter—and as long as they do, the bug can again cross to humans and precipitate a new epidemic.